The OnePlus 6 is coming soon, as we all know from the teasers and posters from the company. 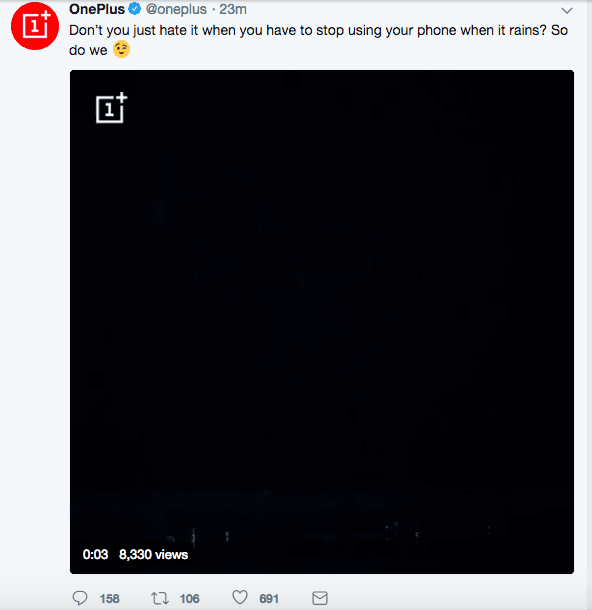 Today, one of those teasers from the official OnePlus account confirmed (sort of) that their upcoming smartphone will be a water-resistant one. Finally; This is one of the much-asked features by OnePlus fans, and since the tweet went live, users are showering praises on the company; Such is the excitement for the upcoming flagship killer and such is the water-resistance support requirement in these days. However, the company did not reveal the certification, but most probably, it could be IP68 water and dust resistant certification. “Don’t you just hate it when you have to stop using your phone when it rains? So do we,” tweeted the official OnePlus handle moments ago. This tweet is more than enough to confirm the water resistance certification for the OnePlus 6. 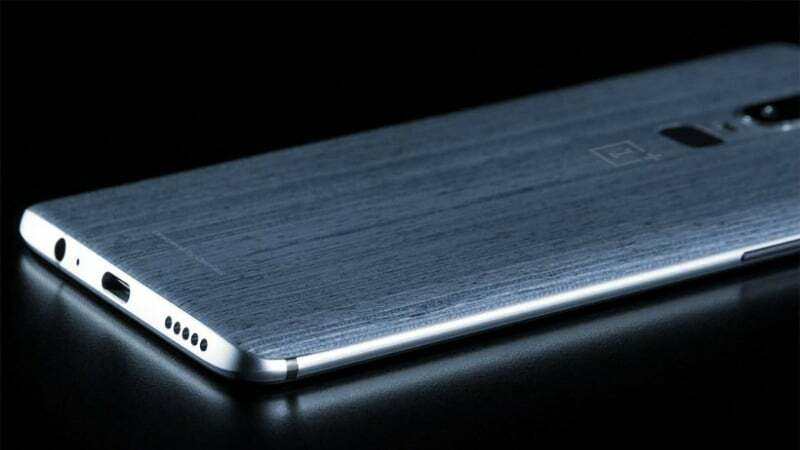 Furthermore, the OnePlus 6 is said to have a glass back, meaning it could also feature wireless charging feature. Wireless charging is a feature which is yet to go mainstream in the Indian market because of the lack of affordable smartphones featuring it. But this year, it’s going to change because Xiaomi has already launched the Mi Mix 2S with wireless charging support and the same phone is expected to launch in India in the first week of May. 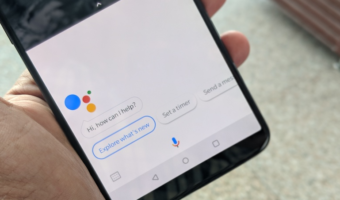 If the OnePlus 6 features it, then the feature would do definitely go mainstream in India, which will ultimately lead manufacturers to include it in mid-range devices. 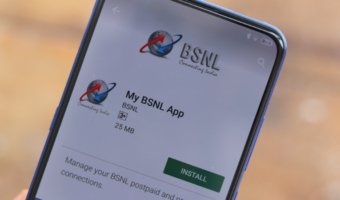 The presence of wireless charging will be confirmed in the next few days, and the phone is expected to go official in the first week of May in China, followed by the Indian launch. During the same time, Xiaomi is also expected to launch the Mi Mix 2S in India. So that will be the battle of affordable Snapdragon 845 SoC smartphones. The OnePlus 6 is already confirmed to come out with a 6.2-inch Full HD+ AMOLED display with a notch, and it will be powered by the Snapdragon 845 SoC. The device will feature up to 8GB of RAM and 256GB of internal storage, but there might not be a microSD card. The device is expected to come with dual rear cameras and a single 20MP selfie shooter. It could run Android 8.1 Oreo out of the box with a 3400mAh battery backing it. The phone is expected to start at Rs 33,999 in the Indian market and might go all the way up to Rs 45,999.